Is it just me or is January one of those months that seems to last forever!? January can be a hard month. Your low on money, it gets dark way too early, not to mention it's bloody freezing and just all over a little bit gloomy. I personally struggle getting back into the swing of things after christmas, especially with my blog. Don't get me wrong I love putting together outfits and creating content, I have loads of ideas for this year. But this weather, especially recently, just makes me want to stay inside snuggled up on the sofa with a duvet and a cup of tea whilst binge watching Netflix or playing Spyro (my current obsession). Whilst there is nothing wrong with a bit of down time it just gets to the point where your ready mentally to motivate yourself and do things. The only problem is getting my body to cooperate! So I finally dragged myself away from the tv and my duvet to shoot this pretty cool co-ord I was sent a while back from the brand One Above Another. I've never owned a co-ord before and I really don't know why! They're dead cute and extremely versatile. 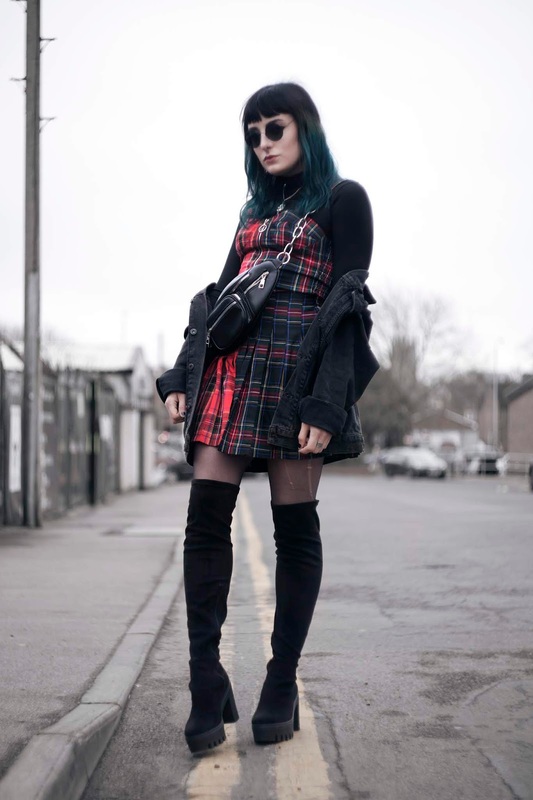 This tartan number is giving me all the 90s vibes. I feel like a punkier Cher Horowitz or a Toro cheerleader from Bring it on, especially when styled with a turtle neck underneath! 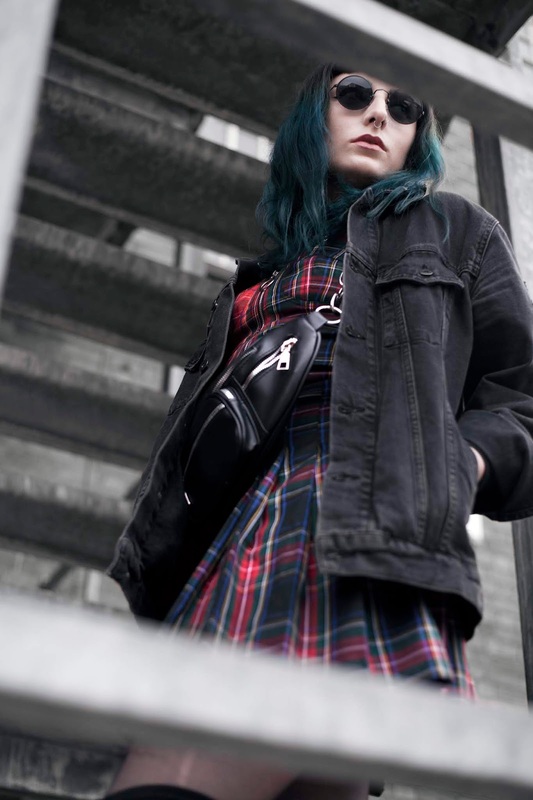 Back in the day I used to wear a lot of tartan in my teenage years from the classic red to blue and even yellow, yes I used to wear a lot of bright colours during my punk phase 😱. 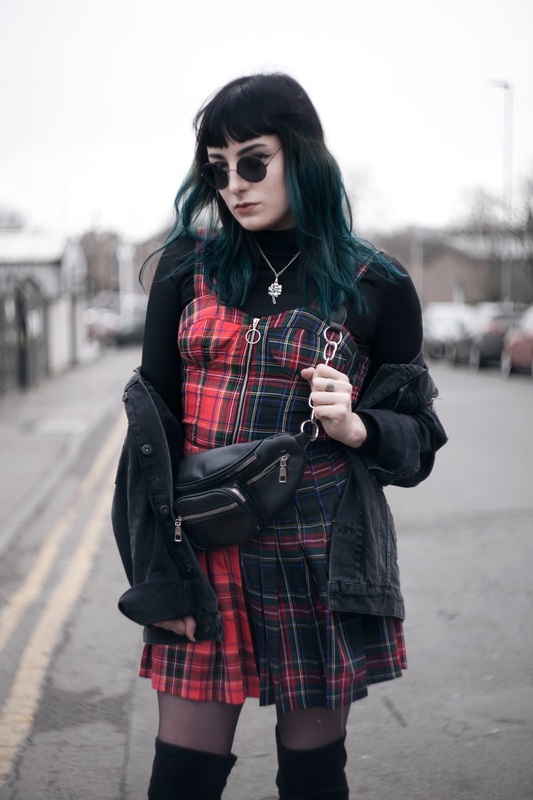 Since this 'phase' my wardrobe has never been void of tartan, however I've definitely neglected it a lot recently in favour of my all black looks. I'd forgotten just how much I loved it. 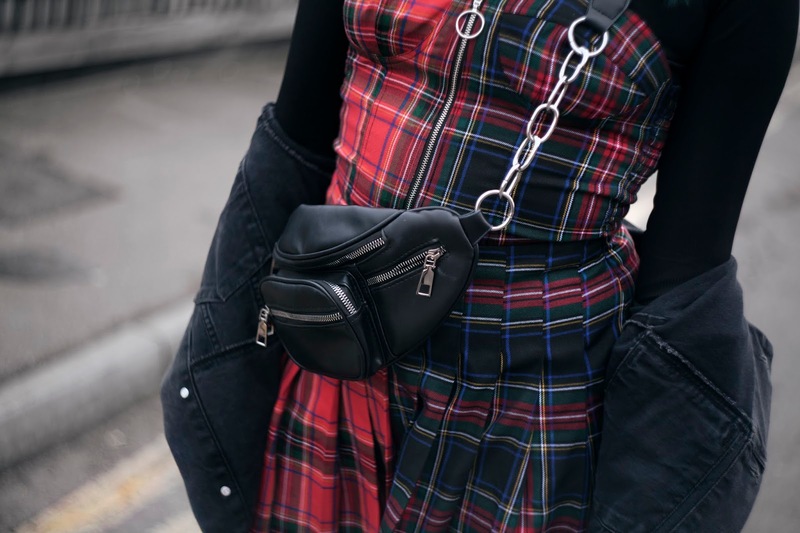 The good thing is though that tartan never really goes out of fashion, it's a classic print, but I am absolutely loving this new spliced take on it. 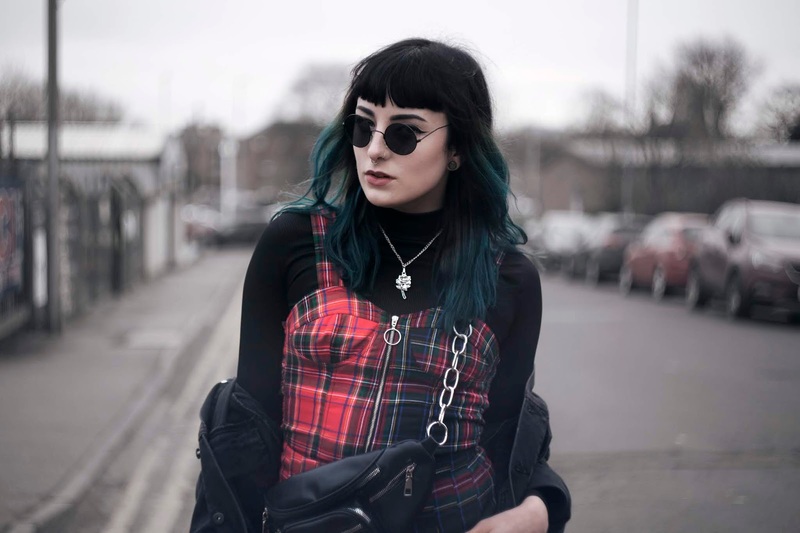 This half red, half green tartan set is so cool, I love that it can look like two different outfits depending on what side your looking at. This set is definitely a statement piece, it's so bold and in your face especially when you wear both pieces together. If this is too much for you or you want to tone it down a bit you can always pair the top with a pair of jeans and the skirt with a basic top, there are so many ways you can go with it. The beauty of a co-ord is that you know it's gonna work well together, it's an easy outfit. 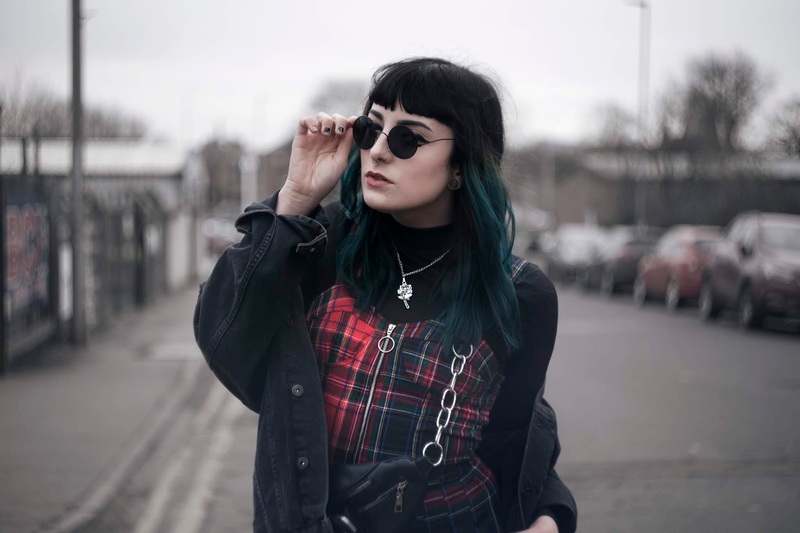 However unlike a dress or a jumpsuit it's a lot more versatile because each part can work equally well together as they do apart, giving you at least three different ways to wear it. So under the top I added a long sleeved turtle neck, it's amazing how much warmer this makes you feel. Turtle necks are a life saver in this weather I actually wear them underneath everything right now, it's a great basic to have in your wardrobe. 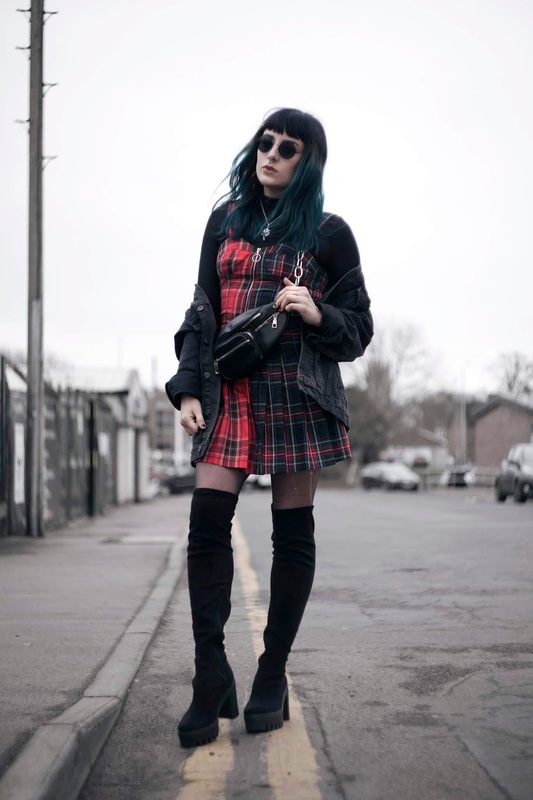 I continued to add layers with this oversized denim jacket, a pair of tights (slightly ripped for that punk aesthetic) and these knee high platform boots I completely forgot I even had. These can keep your legs just as warm as a pair of trousers do which makes wearing skirts in this weather a lot easier! I finished off the look with a few accessories from a pair of sunglasses (I like to be optimistic! 😅) to this rose necklace that I've been wearing non stop recently and finally my favourite cross body bag. I really like how this look turned out, it proves that you can style pretty much anything to work in the winter. I know how easy it is to get stuck in a rut wearing the same cozy, old clothes over and over again, it gets boring pretty quick though. So this is a great alternative, it's even better if you add a few thermals underneath too! Would you ever wear a co-ord? let me know in the comments below! Items marked with an * have been kindly gifted to me. All words and opinions are my own. looking awesome with this outfit.